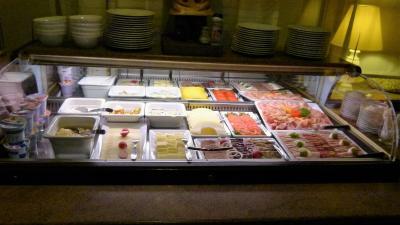 The hotel has a great breakfast in the mornings. The staff was very polite and helpful. Staff was friendly. 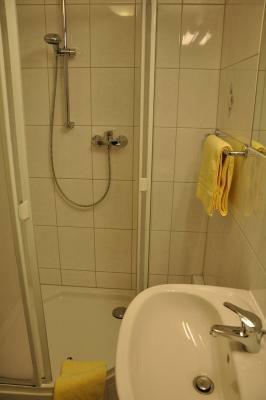 The best part was the cleanliness. It was amazingly clean and organized. 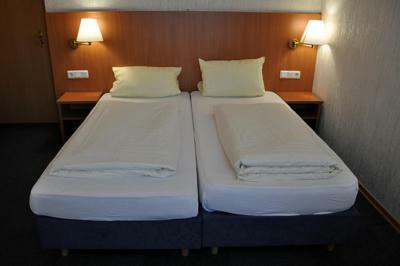 The beds were comfy and the staff friendly. 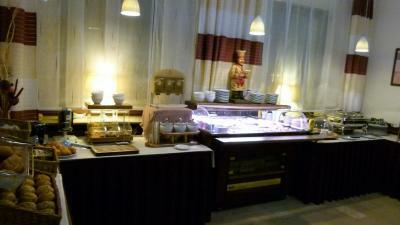 The restaurant served Chinese food which was nice. 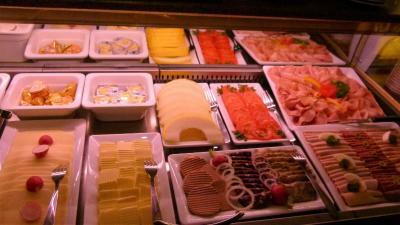 The breakfast was diverse and hotel had a nice atmosphere. 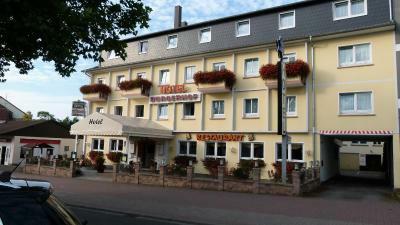 It is a good trip and nice place to stay in this hotel! 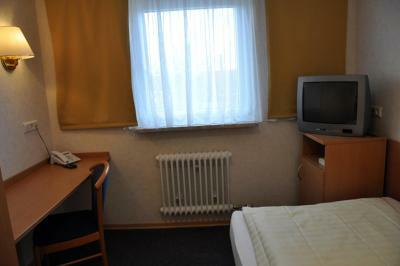 Room was clean, hotel staff pleasant and helpfully. 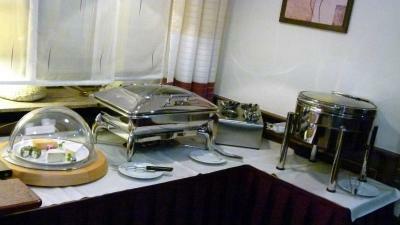 Good price and delicious breakfasts allow me to recommend this hotel to other travelers. Location. 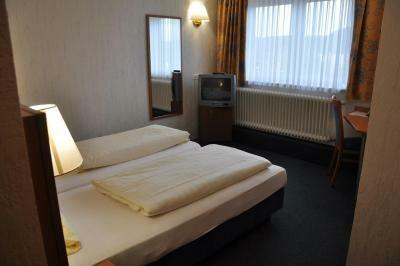 The hotel is located between the train station and the town center and very easy to reach by car. Everything we wanted to do was in easy walking distance. The staff was very friendly and helpful. At the rail station, close to city centre but quiet. 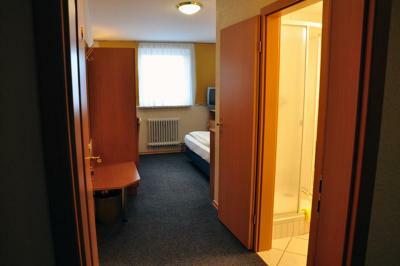 If you are looking for a clean, convenient, well located, functional accommodation, this is the place to be in Homburg. If you are looking for comfort and relaxation, you are in better hands elsewhere. 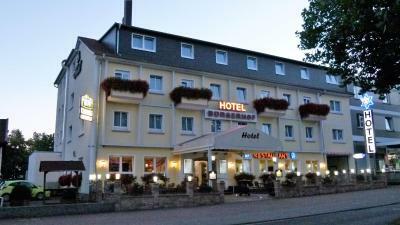 Hotel Bürgerhof This rating is a reflection of how the property compares to the industry standard when it comes to price, facilities and services available. It's based on a self-evaluation by the property. Use this rating to help choose your stay! 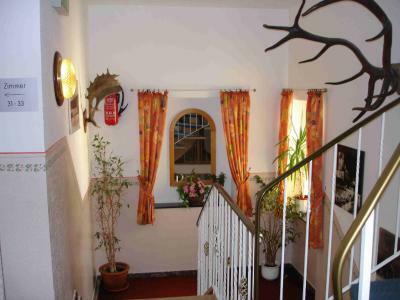 One of our top picks in Homburg.This country-style guest house is located just 350 feet from the train station and 1,650 feet from Homburg’s town center, in the Saarland region. 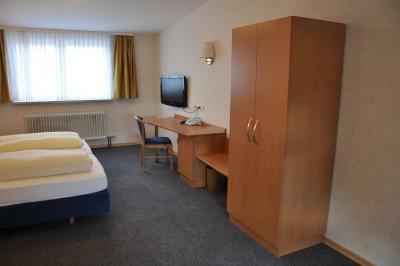 The hotel features classically decorated rooms and a 24-hour reception, as well as express check-in and check-out. 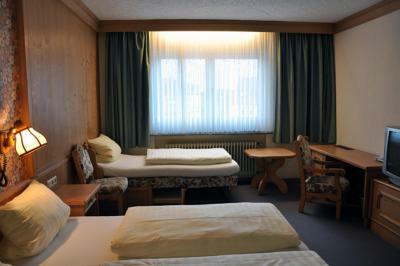 Each of the rooms at Hotel Bürgerhof features wooden furnishings, a TV and private bathroom with a hairdryer. 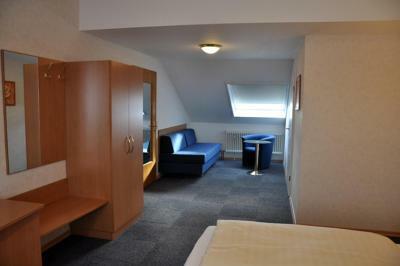 Some of the rooms also include a balcony and a seating area with sofa. 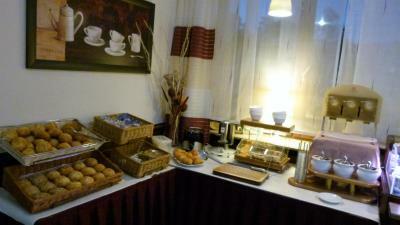 Guests are invited each morning to enjoy a fresh breakfast buffet at Hotel Bürgerhof. 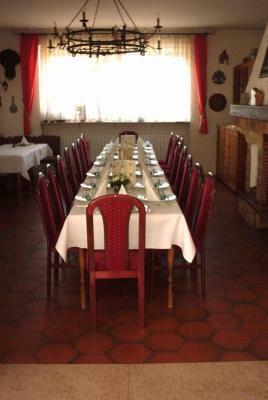 The rustic-style restaurant also serves a range of regional cuisine and local dishes. 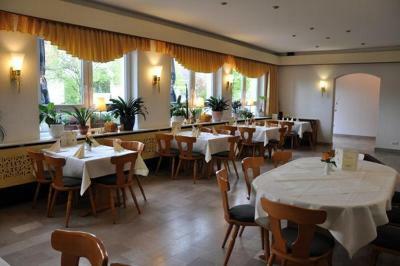 Homburg’s tourist attractions include the Schlossberg Caves and Karlsberg Castle. 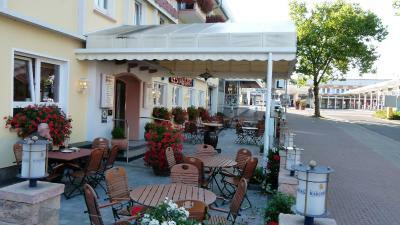 Guests are welcome to take in a view of the surrounding area from the hotel’s terrace. A car rental service is also offered. Set 3.7 mi fromHomburg/Saar Websweiler Hof Golf Club, Hotel Bürgerhof has free parking. 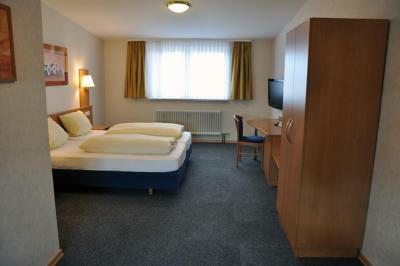 It is 22 mi from Saarbrücken Airport. 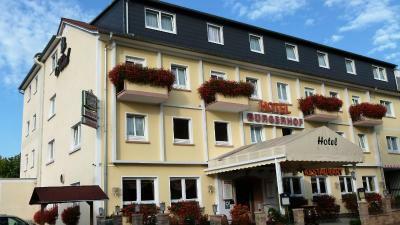 When would you like to stay at Hotel Bürgerhof? 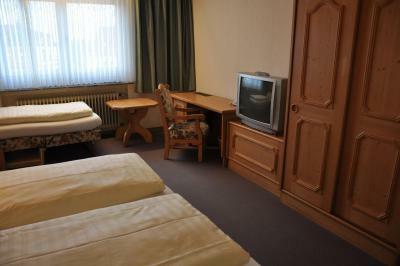 This classically decorated room includes a flat-screen TV, a desk and private bathroom with a hairdryer. Some room have a balcony. 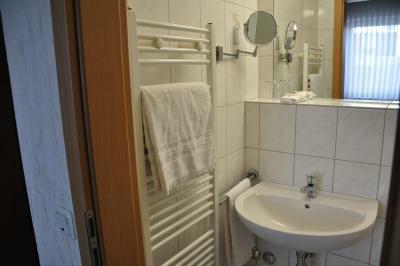 This classically decorated room includes a TV, desk and private bathroom with a hairdryer. Featuring a seating area with a sofa, this classically decorated room includes a TV, desk and private bathroom with a hairdryer. 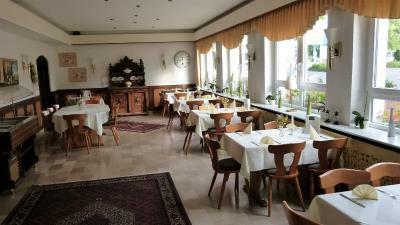 House Rules Hotel Bürgerhof takes special requests – add in the next step! 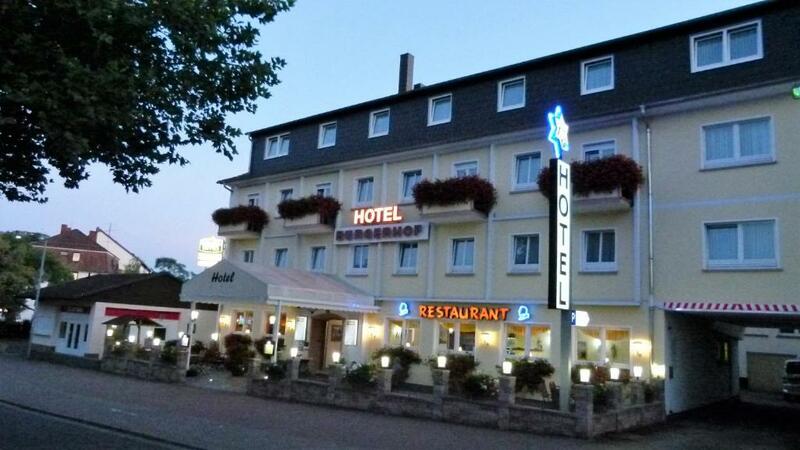 Debit card Hotel Bürgerhof accepts these cards and reserves the right to temporarily hold an amount prior to arrival. 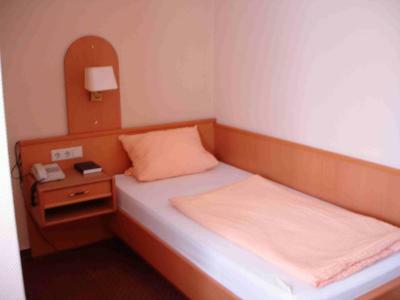 Hotel Bürgerhof accepts these cards and reserves the right to temporarily hold an amount prior to arrival. They forgot my breakfast packet. Waste of money. 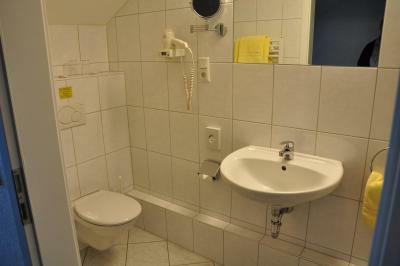 It was smell of moisture everywhere coming from toilet probably. 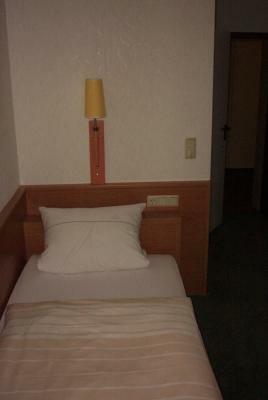 There was no wifi at night, it was cold in the room and the water for showering was cold at night. 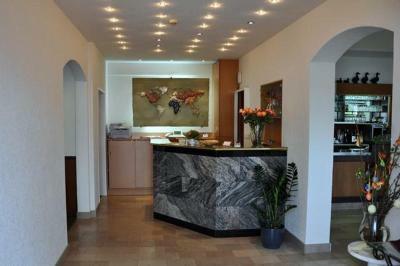 The recepcionist was not interested for anything , i tried to explain him but no sense. Tommorow morning there was wifi signal and hot water. Didnt breakfeast but it looked ok (the only thing that looked ok). Too much money for medieval accomodation. It was a bit noisy outside with people and trains. The rooms should have a refrigerator. 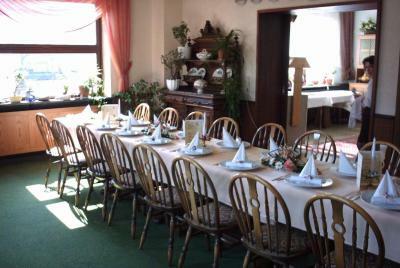 Especially for guests with extended stays (five or more days).